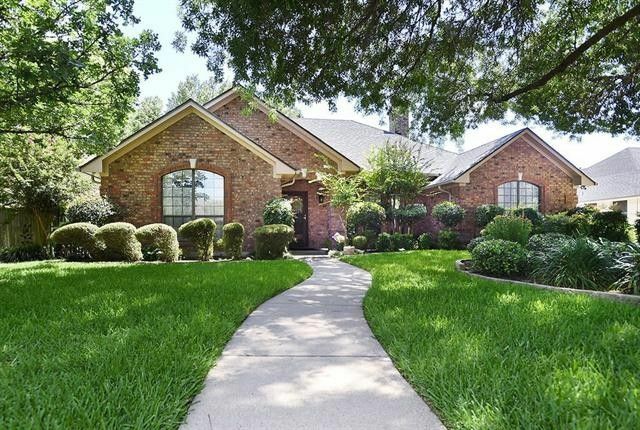 You'll find elegance & comfortable living in this stunning brick single story home featuring four bedrooms, 3 bathrooms, two spacious living areas + two large dining areas. Plantation shutters adorn most of the windows. The dining rm area could also be an ideal study. The 21x16 family room with brick fireplace is accentuated by the sunroom-living with a wall of windows to the large wooded back yard. The secluded master suite offers sitting area, 14 ft. walkin closet, jetted tub, large separate shower & double vanity. Another bedroom with full bath is off the breakfast area--perfect for guests or media room. Picture perfect curb appeal. Recently enhanced insulation, floored attic, & new AC & Furnace in 2013. Directions: MULTIPLE OFFERS RECEIVED. EMAIL TO LA COMPLETE BEST AND FINAL OFFERS BEFORE 5:00 PM ON JULY 23RD. From Highway 380 (University Drive) go North onto Old North St. turn left onto Windy Hill.&#xD;&#xA;&#xD;&#xA;NOTE TO APPRAISERS: BUYER IS LICENSED AGNT, SO HE SUBTRACTED 3% FROM WHAT WOULD HAVE BEEN THE SALES PRICE.